Apple’s 10th anniversary iPhone, dubbed as the iPhone X, is expected to be the star at the company’s event on Tuesday at its new campus in Silicon Valley. The new iPhone X will also come with a premium price tag. A fresh leak of new software for Apple devices appeared to confirm rumors that the company will unveil three new iPhone models, with the most radical changes packed into a top-of-the-line “X” version. 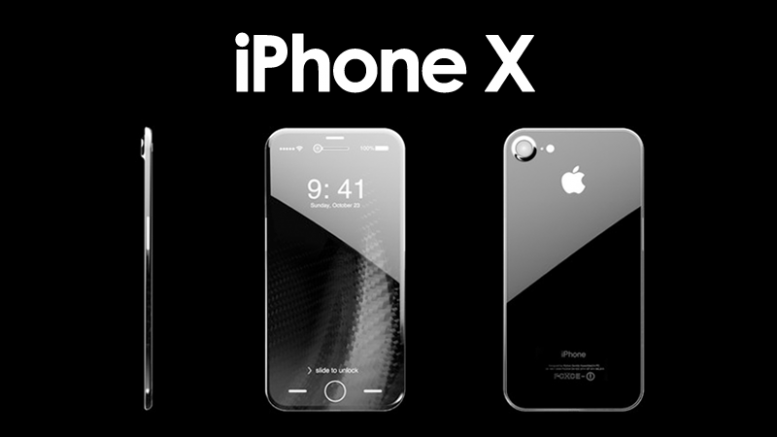 Evidence suggests that two iPhone 8 models would essentially improved version of predecessors, while the “X” version will boast an improved quality edge-to-edge screen, advanced augmented reality capabilities, and facial recognition instead of a “home” button to unlock the screen, analysts said. A key question for the tech giant is whether it can wow the world the way it did with the first iPhone a decade ago. The keenly anticipated media even will be the first in the Steve Jobs Theater at Apple’s new “spaceship” campus in Cupertino, evoking the memory of the company’s late co-founder and iconic pitchman. Jobs introduced the first iPhone on January 9, 2007 and set the stage for mobile computing — and an entire industry revolving around it. The first devices became an instant hit as they went on sale on June 29 of that year. “This year’s September event is easily the most anticipated iPhone launch given expectations for the first major form factor change since the iPhone 6 cycle and excitement surrounding a host of revolutionary features/capabilities alongside evolutionary updates,” RBC Capital Markets analyst Amit Daryanani said in a note to investors. There has unconfirmed talk that an iPhone X, or whatever name Apple choses for it, could priced as high as $1,400. “It will have to be magical,” analyst Rob Enderle of Enderle Group said of a new iPhone with that price tag. The new iPhone would also need to “set the bar” in a market with premium Android-powered handsets priced much lower, according to the analyst. The added expense of using OLED screens — organic light-emitting diodes — expected not only to boost the price of the new handset but to constrain supply, and potentially delay arrival of the smartphones to market. Samsung last month unveiled a new model of its Galaxy Note as it seeks to move past the debacle over exploding batteries in the previous generation of the device, and mount a renewed challenge to Apple’s flagship devices. Other makers are also scrambling for market share, including Google, which expected to soon unveil a second-generation of its flagship Pixel smartphone. Munster said that while hardware would bask in a spotlight on Tuesday, enhanced augmented reality capabilities would be a significant change with long-term implications. Adding 3D and computer vision hardware to an iPhone would “be a big step toward putting AR in the hands of everyday users,” Munster said. Be the first to comment on "Apple iPhone X: Key features that make it the star of today’s Apple event"